The Congressional Task Force on Election Security released a report on Wednesday that outlines 10 recommendations to protect state election systems for cyberattacks, including allocating funds, more training, minimum requirements for voting machines, and threat assessments. The task force was established in June 2017 in response to Russian hackers targeting 21 states’ voting systems and voter databases during the 2016 election. Members of the task force also introduced legislation that incorporates the recommendations of the report. Wednesday’s report recommends that Congress appropriate $400 million in remain funds under the Help America Vote Act to help states update and secure voting machines, provide ongoing funding to secure state IT systems and voter databases, adequately fund the Department of Homeland Security (DHS) and Election Assistance Commission, and require manufacturers of voting machines to adhere to minimum cybersecurity standards and require notification in the event of breaches. U.S. Rep. Jim Langevin (D-RI), co-chairman of the Congressional Cybersecurity Caucus, said he was pleased with the task force’s work and recommendations. The task force also called for the development of a National Strategy to Counter Efforts to Undermine Democratic Institutions, for the intelligence community to conduct election security assessments six months before elections, for DHS to maintain the “critical infrastructure” designation for election infrastructure and to expedite security clearance for the top election official in each state. The report also called for states to conduct risk-limiting assessments, to prioritize training for state election officials and IT staff. As the first quadriplegic to serve in Congress, I’ve spent the last 17 years navigating the hallways of our nation’s Capitol Building in a wheelchair. My ability to enter the House chamber, cast my vote, and carry out my responsibilities as a member of Congress was made possible by extraordinary leaders who fought for passage of the Americans with Disabilities Act (ADA), the civil rights law that protects Americans from discrimination due to a disability and promotes inclusion within our society. However, the more than quarter century legacy of the ADA is being threatened. Today, the House of Representatives will vote on the cynically named ADA Education and Reform Act (H.R. 620), harmful legislation that fundamentally weakens the protections of the ADA. The ADA Education and Reform Act is marketed as a bill to aid ADA compliance and promote greater inclusion for people with disabilities. Make no mistake, though, this bill undermines years of progress for the disability community by preventing disabled individuals from asserting their rights under the ADA. Ironically, H.R. 620 adds legal barriers, including long court wait times, to a law that is all about bringing down barriers — and we have had more than 27 years to comply. The excessive requirements and extensive waiting periods decimate the right to public accommodations for an entire vulnerable population and set a dangerous precedent for the future. After all, justice delayed is justice denied. The sponsors of the legislation point to some unscrupulous lawyers who have taken advantage of certain laws that allow monetary awards for violations of accessibility standards. However, these are state laws – suing for damages is not permitted under the federal law. 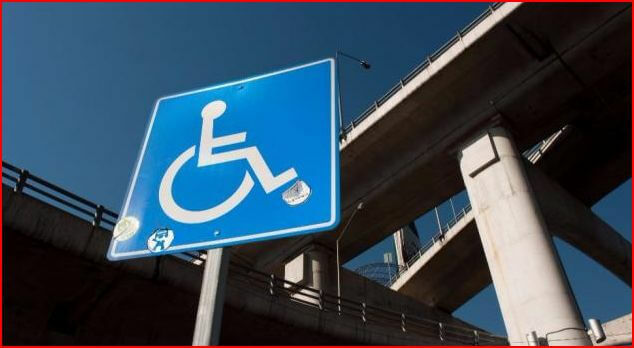 Instead of addressing this problem at its source, proponents of the bill are opting to reduce accessibility and inclusion for people with disabilities in schools, restaurants, public transportation, commercial facilities, recreational sites, sales or rental establishments and more. I remember what it was like before the ADA became law. We did not have access to public buildings, employment opportunities were scarce, and there were no legal protections against discrimination. I remember wanting to attend certain schools, family functions, or even professional events, but my participation was always dictated by the barriers I encountered. Each lost opportunity was a reminder that I am not like everyone else. Even if our country was founded by a belief that we can celebrate our differences while finding strength in our commonalities, I – like so many people with a disability – should not be limited because I cannot have a seat at the proverbial table of life – no matter the occasion. Despite the sea of change brought by the ADA, people with disabilities continue to face significant obstacles to meaningful inclusion. I do not wish to go back to a time where discrimination was commonplace and accepted under our laws. We must not undermine the fundamental rights of people with disabilities by passing this misguided bill that encourages businesses to ignore the ADA. Every vote of support will be a message to people with disabilities that we are not equal or worthy of the same civil rights protections as other individuals. The stakes could not be higher for people with disabilities and everyone who looks to our elected officials to fight for what’s right and reject all forms of discrimination. After nearly three decades of amazing progress, let’s not turn back the clock. Langevin represents Rhode Island’s 2nd District and is co-chair of the Bipartisan Disabilities Caucus.